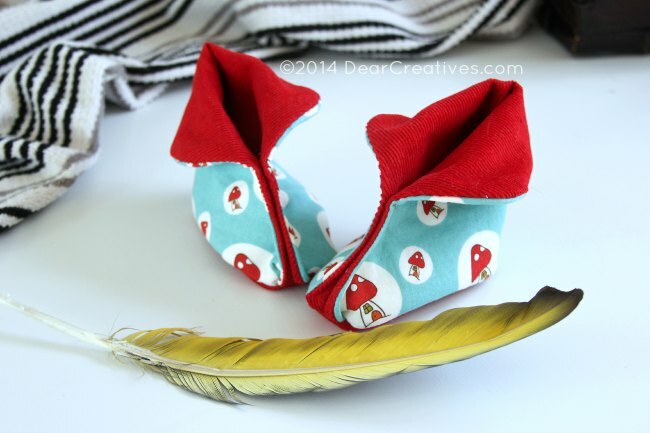 My latest sewing project were these little baby booties. They are called Moon booties. 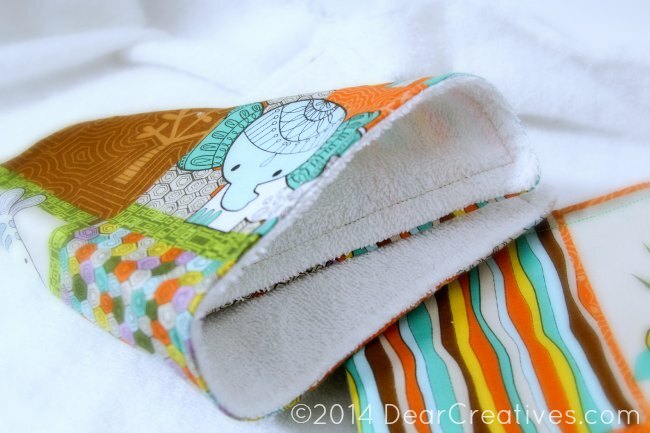 The project was an easy to sew one from a book called Sweet Booties. I will be sharing a step by step tutorial on how to make them from the pattern in the book on my blog soon. This will include tips on different use of fabrics for the pattern to sewing tips. From the same baby book I made these lovely burping towels. They are the easiest project to do. All straight stitching, leave one side open, trim up corners and turn inside out. You can find this on the blog right now. 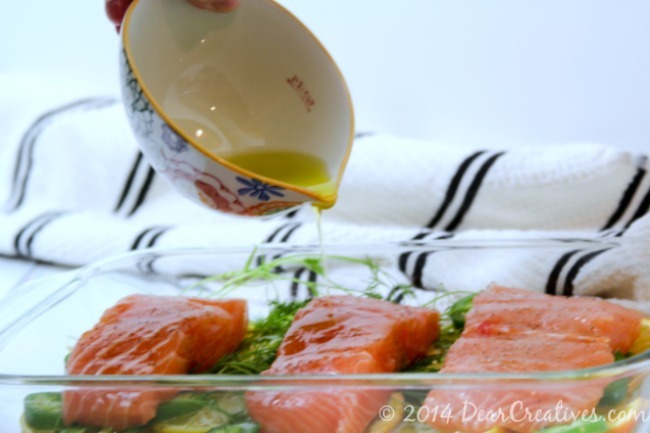 My favorite recipe I have made recently was this Slow baked Salmon recipe. It is easily prepared and would make a wonderful Valentines Dinner if you stay home with your family or just for two! 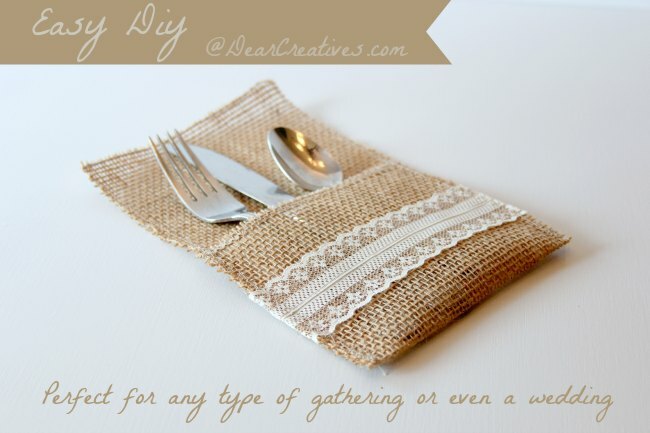 Lastly I am leaving you with this easy Diy for your place settings! A project you can make yourself! #3. 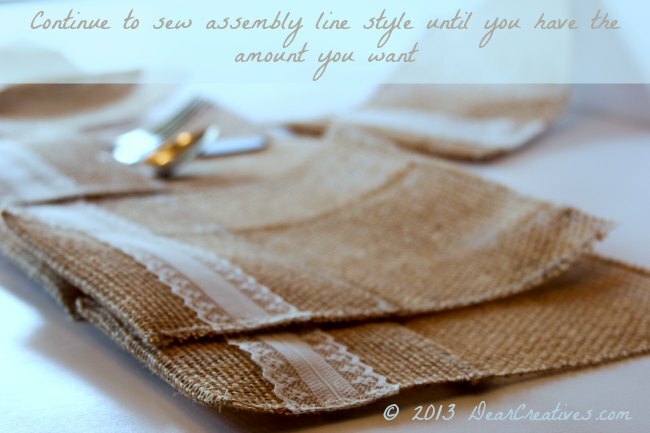 Once you do steps one & two you fold up burlap & pin at each side in place start at one corner & go the entire way around. 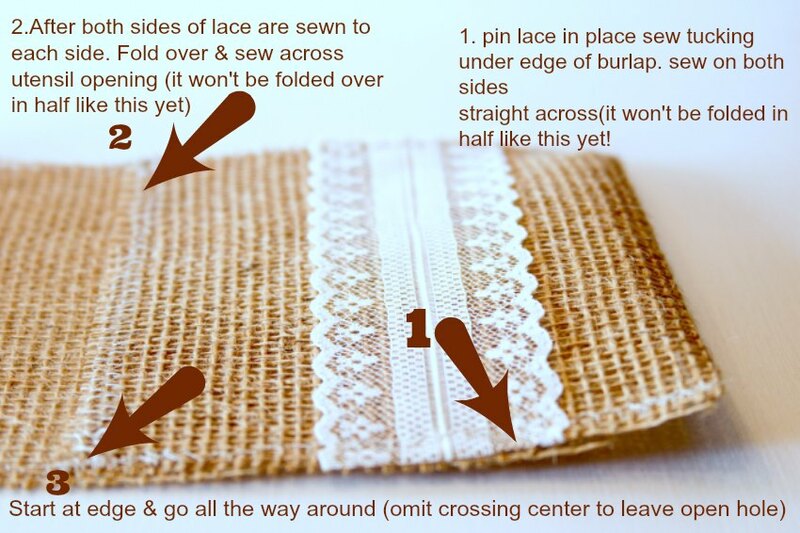 It isn't necessary to sew across the bottom, sew along one side, across top & down the other side like it's a u shape. 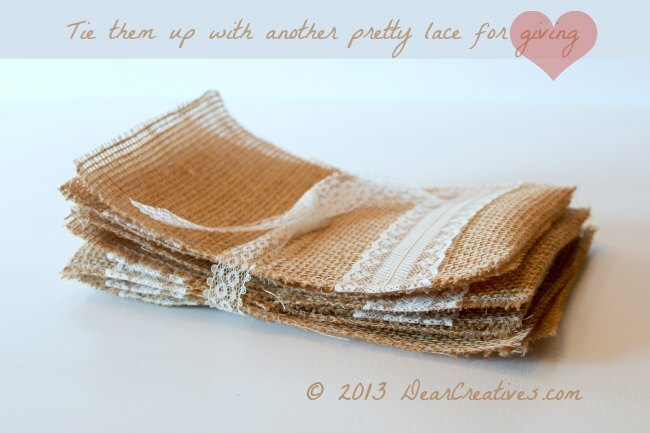 I did this so the burlap edges wouldn't unravel & to make the fold of pocket. 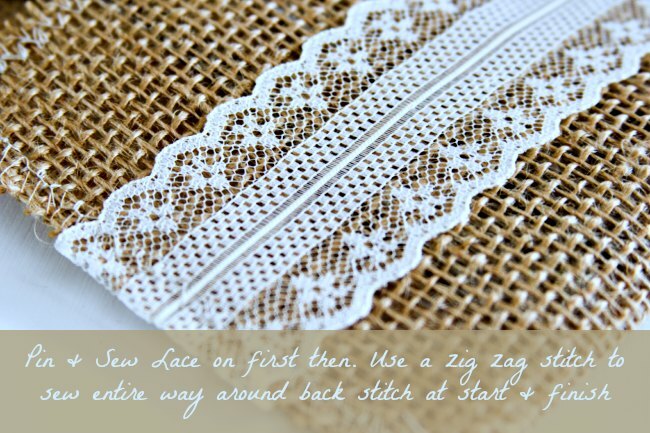 When your sewing the lace onto burlap you sew across the side edges (on each side) where you will sew around a final time. If you have questions just ask & I'll try to answer them. 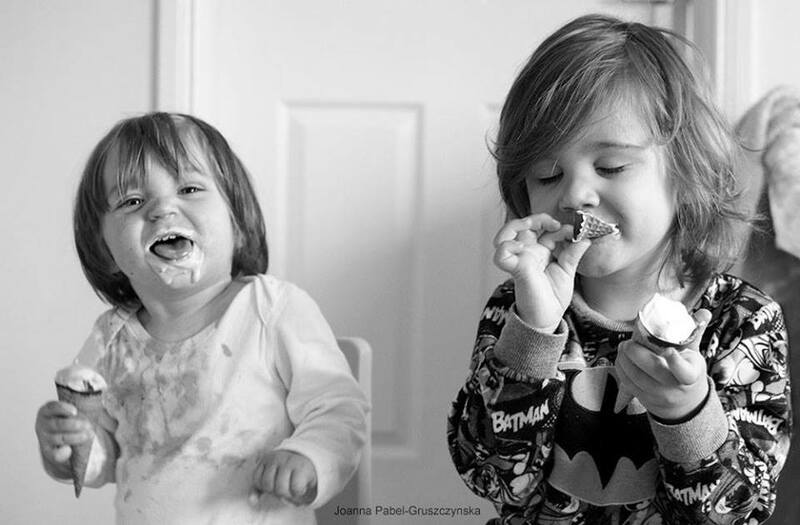 Thank you for a wonderful post and I hope that you will be my guest again in the future. Charming! I do not obtain sufficient time on my stitching equipment yet I would certainly like to make something similar to this. Great for motivation:-RRB-.